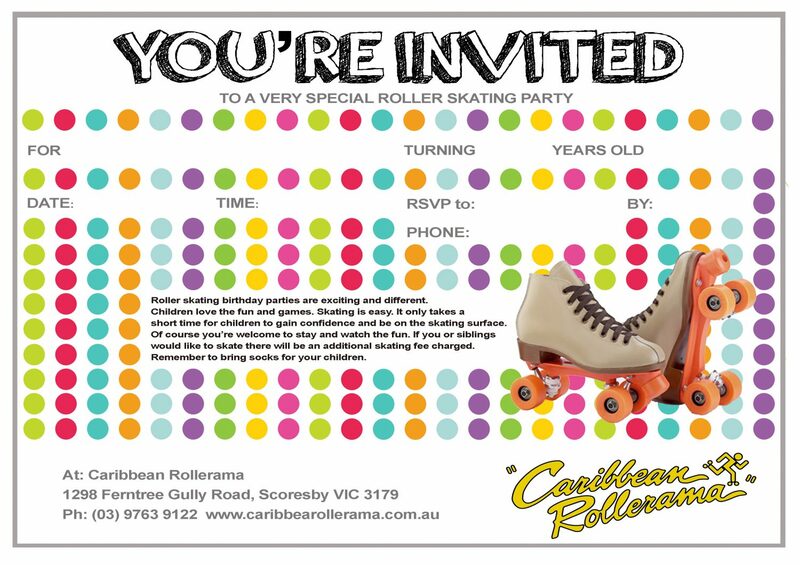 Birthday Parties at Caribbean Rollerama are a great way to celebrate kids Birthdays. 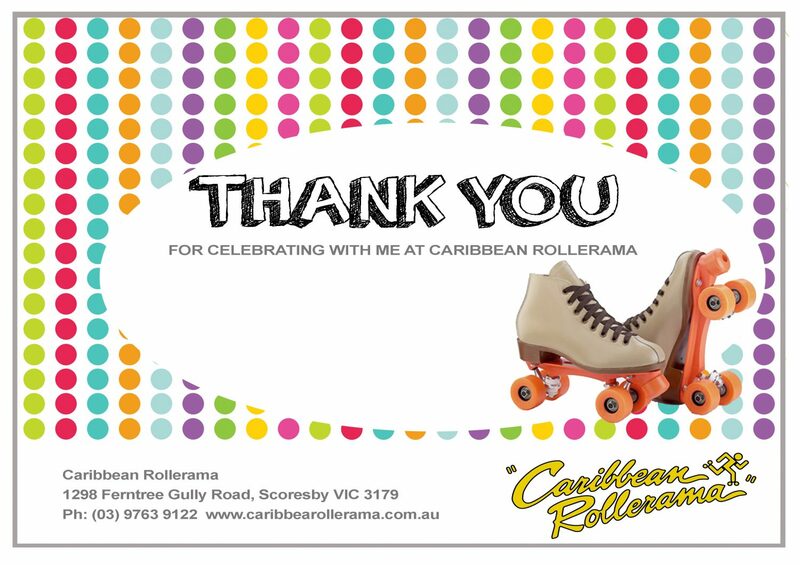 Caribbean Rollerama has their own Party room which accommodates many birthday parties throughout the week and on the weekend. It’s a great day for the kids and with no mess to clean up, the parents will enjoy the day too. You will have a table reserved in the party room. For a virtual tour click here. *Minimum of 8 per Kids Party booking. A Special Birthday Announcement on the day. You are welcome to bring extra food (e.g. Potato chips & sandwiches), however we do not have the facilities to re-heat food. Please note: You will need to supply your own bowls, plates, cutlery or any other items that are relevant to supply your food to your guests, as Caribbean Rollerama doesn’t supply any additional crockery or cutlery. Jugs of soft drinks can be purchased for $9.00 each. NOTE: you cannot bring your own soft drinks into the premises. If you wish to have a Birthday Cake, please bring any candles, matches or knives you may require. We do not supply cakes, paper plates or spoons. NOTE: Skaters who come to celebrate the Birthday Party and are not part of the party (family friends, other parents etc) must pay at the front door. A $20.00 deposit is required to confirm your booking. Free invitations are available on payment of the deposit. Please confirm definite numbers the day before your Childs party. Your deposit is non-refundable. If a deposit is not paid one week prior to the date booked the booking will be cancelled. Payment can be made by EFT, Cash or Cheque. Teenage Rage Birthday Parties at Caribbean Rollerama is a great way to celebrate Birthdays. So please give us a call and we will tell you everything you need to know. Party bookings are for a minimum of 8. Suitable for all ages – you don’t have to be a teenager! You will have a table reserved in the main area. Party held on a reserved table in the Snack Bar area. You are welcome to bring extra food (e.g. Potato chips & sandwiches), however we do not have the facilities to re-heat food. Please note: You will need to supply your own bowls, plates, cutlery or any other items that are relevant to supply your food to your guests, as Caribbean Rollerama doesn’t supply any additional crockery or cutlery. NOTE you cannot bring your own soft drinks into the premises.